[Update: comments are now closed.] Imagine a world that looked more like Hot Wheels. Racetracks would have giant orange loops in the straights, cars could look like sharks, and everything would be covered in flames. 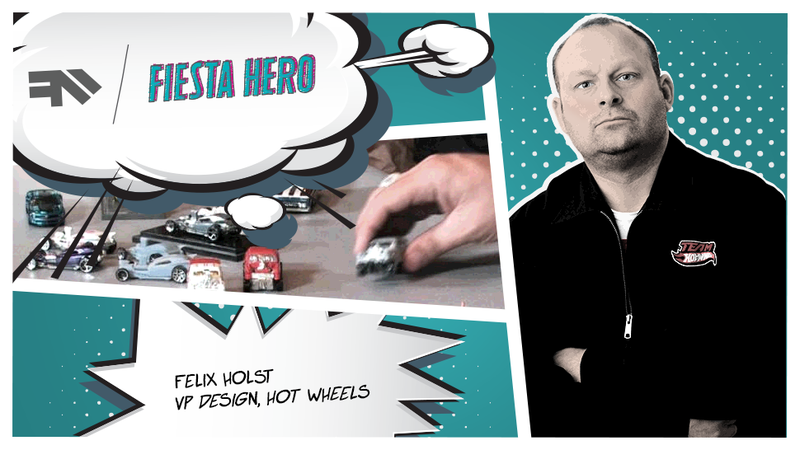 For Felix Holst, VP of Hot Wheels Design, that world is his reality. He’s responsible for the design direction of Hot Wheels products, and the packaging and entertainment for both the Hot Wheels and Matchbox brands (yes, they both live under the Mattel roof). Holst's day job is every six-year-old kid's dream come true, and now you have the chance to ask him anything! , which towed the Hot Wheels Rip Rod into this year’s SEMA show in Las Vegas. They've also broken world records, sending drivers Tanner Foust and Greg Tracy soaring through massive six-story loops for their insane stunt at the X Games Los Angeles in 2012. The Hot Wheels team also helped bring our Ford Fiesta Heroes to life, first through sketches, then in a final one-off prototype using some very high-tech tools at the Mattel Design Center . Prior to taking the reins as the head of Hot Wheels design at Mattel, Holst toured England for five years as the bassist and manager of U.K. rock band The Kustombuilt. These days, he's enjoying life as a new father and living the SoCal dream in Venice Beach, CA with some seriously cool project cars, including a traditional 1931 Ford hot rod and a 1961 Ford Zodiac. So what's it like to go from British rock star to designer of some of the world's coolest toys? Want to know how the heck someone gets a job inventing Hot Wheels cars for a living? Go ahead and ask in the comments below.